Graduate University of Florida. Top Secret. “One of our projects, Morris Landing, seemed untouched by the hurricane; the sill structure looked as it did before and that’s the point of them,” Skrabal said, a coastal scientist with the federation. 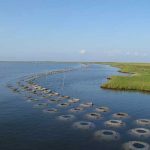 The comparative studies or living shoreline treatments by The North Carolina Coastal Federation, shows the value of homeowners taking steps other than bulkheads to protect their shoreline from erosion during high energy events. 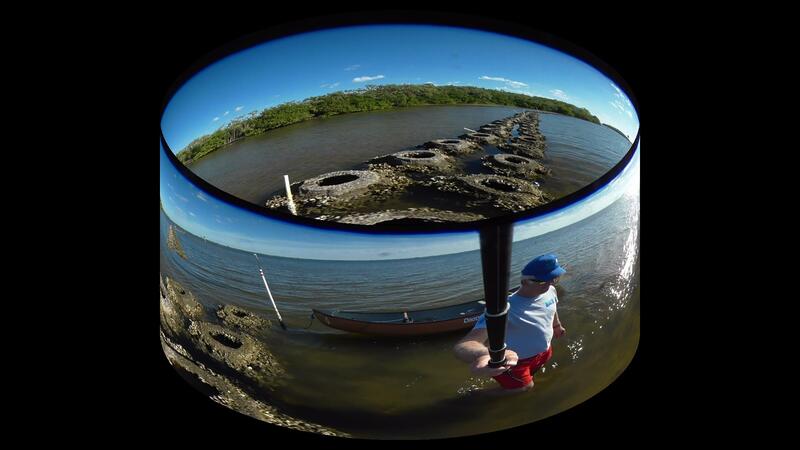 Prior to the hurricane I surveyed the site that consists of rows of Reef Balls that have oysters growing on the. 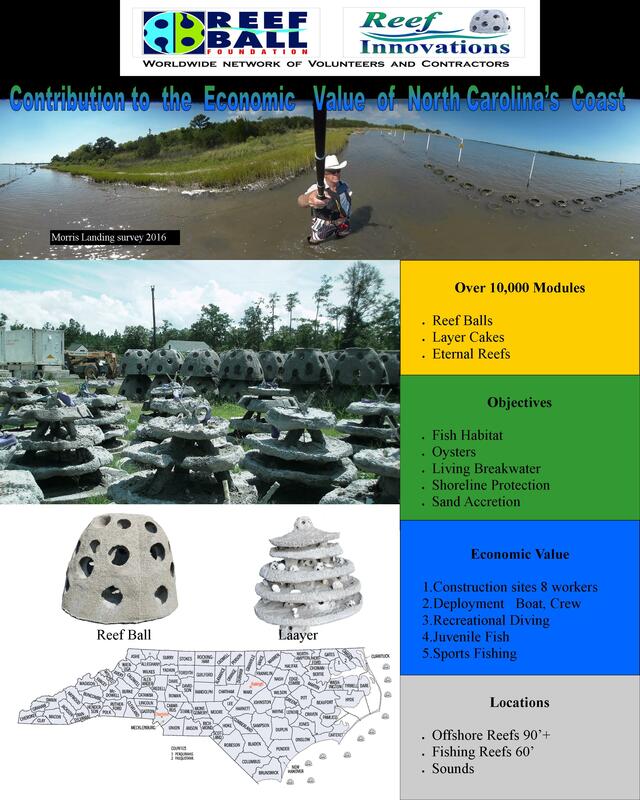 The site also compares Shell Baggs, A freestanding bulkhead, granite riprap, and loose oyster shell. HOLLY RIDGE – When Hurricane Matthew approached North Carolina in October, many in the state – from scientists to casual observers – watched to see the effects on shorelines. Storm surge and increased wave action can visibly wear away the coast. How would properties with bulkheads fare? Or, for those with wetlands conservation in mind, would living shorelines deliver what they promised? Living shorelines are designed to protect vulnerable marsh habitats. In the case of hurricanes, though, living shorelines are also meant to be filters of stormwater runoff and to mitigate the erosion caused by the water that inevitably comes with the storms. Larry Jansen chose his home in Holly Ridge’s Preserve at Morris Landing in part because of water and coastal access. 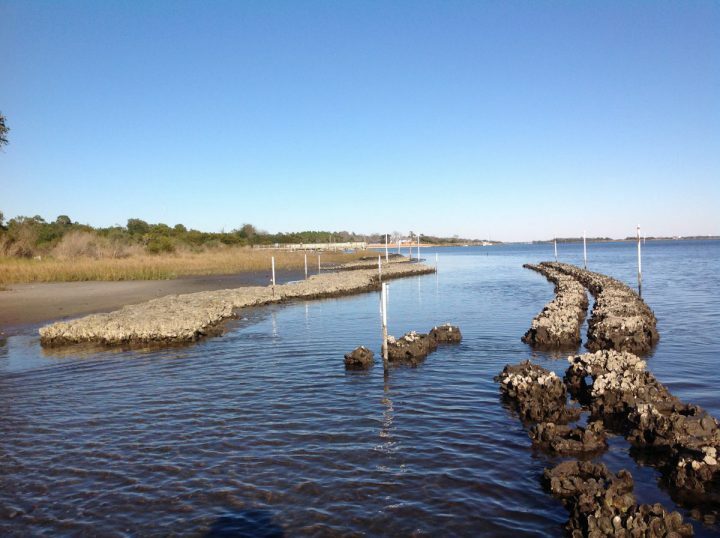 As a volunteer with the North Carolina Coastal Federation, he’s been watching the 310-foot living shoreline completed there in July as the fifth phase of an ongoing restoration project, and he returned to the site soon after the hurricane passed through. “I couldn’t really see any impact at all,” Jansen said. Living shoreline proponents say that’s no surprise. “For the most part, these shorelines are behaving exactly the way we expect them to,” said Tracy Skrabal, a coastal scientist with the federation. Living shorelines are generally made with a permeable sill, such as bagged oyster shells or rock, that follows the natural slope of the land, with marsh grasses and other wetland plants behind. “When the water rushes up, there’s nothing impeding the flow,” Skrabal said. So, they are designed for the water to come in and go back out. Although these observations are a good sign, there is more meticulous work being done in the aftermath of the hurricane. Carter Smith is a doctoral student at the University of North Carolina – Chapel Hill Institute of Marine Sciences in Morehead City. “It started about a year and a half ago, with the goal of comparing how bulkheads, living shorelines and natural shorelines perform in major storm events,” Smith said of the research. In the weeks since the hurricane, Smith has visited the project’s 30 study sites from Southport to Manteo. At each, there are comparable shoreline structures that will face similar storm surge and wave energy. 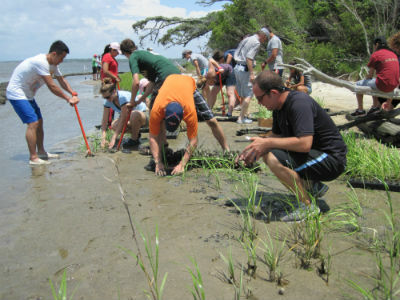 For the purposes of the study, living shorelines are those that have had some type of restoration work, such as the addition of marsh sills and aquatic plantings, and natural shorelines are unmodified. Both are compared to the hardened bulkhead type structures that are common along the coast. In the coming months, Smith will work on assessing the post-storm effects. Right now, though, she has made some preliminary findings. Some bulkheads remained intact, but there are some stretches where bulkheads were damaged. Hardened structures such as bulkheads can fail in a number of ways during storms and the damage is often obvious. The same can happen behind the bulkhead, when saltwater overlaps the structure and weakens it, causing structural damage or collapse. Smith’s project also includes conducting boat surveys along 100 kilometers, or about 62 miles, of North Carolina shorelines, taking photos and noting the location coordinates of damaged structures. “I would say that at least 50 percent of the bulkheads we surveyed were damaged, from minor damage to full-on collapse,” Smith said. A post-storm assessment is also expected to be released by the Division of Coastal Management, analyzing how sills, marshes and bulkheads fared during the storm. For years, coastal conservationists have been championing living shorelines for protection of marsh habitat. Conservationists also have been encouraging property owners to consider living shorelines for better, more sustainable protection of their property. But bulkheads are by far the most popular choice for property owners. 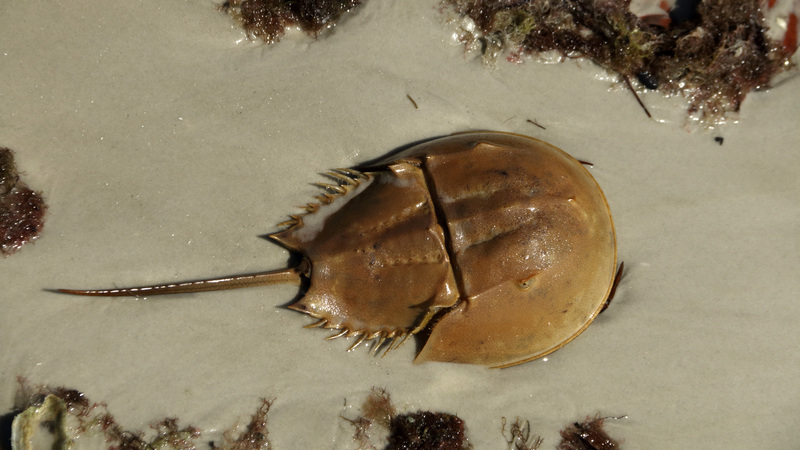 A previous study from the Institute of Marine Sciences estimates that as much as 9 to 16 percent of the coast is protected with bulkheads, and permits for bulkheads are easier to obtain. Whereas, it can be more difficult, months-long process to get permits needed to install a living shoreline. Bulkheads are more expensive, though, and can cost thousands of dollars, depending on the length of the shoreline. “And the cost of repairing bulkheads after storms is considerable, too,” Skrabal said. It is her hope that the example of how well living shorelines did during the storm will convince more homeowners to consider them rather than repairing or replacing bulkheads. “One of our projects, Morris Landing, seemed untouched by the hurricane; the sill structure looked as it did before and that’s the point of them,” Skrabal said. This resiliency is something Erin Fleckenstein, a coastal scientist with the federation’s northeast office, has noticed, too. She cited a homeowner at Silver Lake Harbor on Ocracoke Island who had a living shoreline built there this past summer. “Before, they were facing considerable erosion, mostly due to ferry traffic,” Fleckenstein said. But the owner reached out to Fleckenstein after the hurricane and made a point of saying how pleased they were with the erosion control and how well the shoreline did.